When scouting a Darknest to rally, you need to take into account what types of soldiers to counter and what's the major trap inside the nest. This is the same as attacking a castle – minus sending in Siege. Castle walls are not as strong as Darknest walls, so when attacking a player, siege is really not needed. *The good thing about the darknest is that it is a really good target practice, whether you'll be attack alone or rallying someone in the battleground. So, if the nest has Inf and Cav, you will send Cav and Range to counter their soldiers. As you know, the battle is win if the moral of the darknest drops first. So you don't need to kill all the enemies troops to have a victory. Obs: Once your research is fully maxed out whether it is a t3 or t4 player, wall HP will matter less so to speak (this tends to be less true if you're hitting lvl 4 or lvl 5). If the nest is heavy on a certain type of trap, I will change my Phalanx around – so if I am sending Range and Cav and the nest has traps that will kill my Cav, and either none or just a few that will kill my Range, I will change to a Range Phalanx to counter the Cav traps. This keeps the troops safe while the siege is working on the wall. Always send heroes and always match your heroes to the troops you are sending out. Pay attention to the buffs as you line them up to make sure you are getting the most out of your hero. If the leader is deployed, all the green stats apply. If he stays in your base/shelter, you will rely entirely on your research if you are attacking or leading a rally. So, if you have Inf and Range – send 2 Inf heroes, 2 Range heroes and as we normally send siege to darknests, send 1 Siege hero. 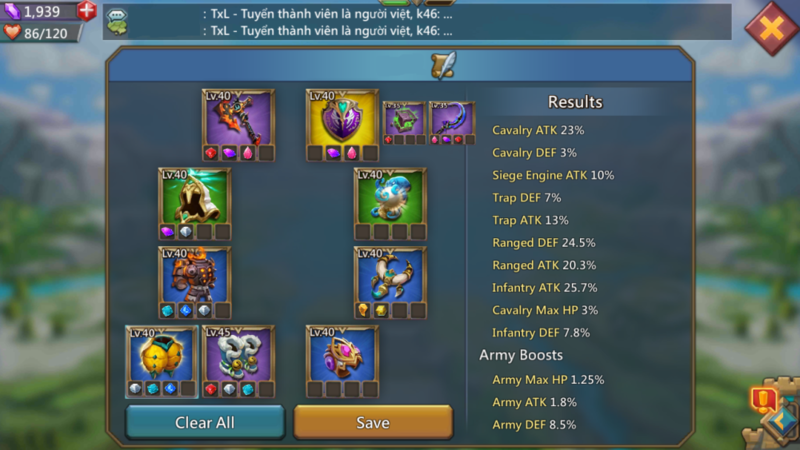 Your heroes will increase the number of troops you can send as well. So, assign them first before assigning your troops. Note: If you are sending Goblin or Rose Knight (for their army atk buff) but the troops you are sending is not cavalry or ranged, just send 1 troop in order for their abilities to work. If there are none, the heroes will remain in the background and won't use their special abilities. Keep an eye on the wall HP (you need intelligence report lvl 10 otherwise it's only 100% what you can see). If the wall (for a lvl 3 darknest) is between 650k to 1.2m hp, you can defeat it even if you don't have full rally. Be sure to match the gear you are wearing to the troop types. Browse the event equipment in your workshop to see all the options. Pictures above is only an example of an attack f2p gear. Next to the boots and the off-hand, I put an alternative gear. The gear always depend on your main troops. If you are tackling a big nest, you may want to go ahead and re-talent to be military strong. I match my troop types and put talents in Army Health and Defense. I do not put talents in for the siege. 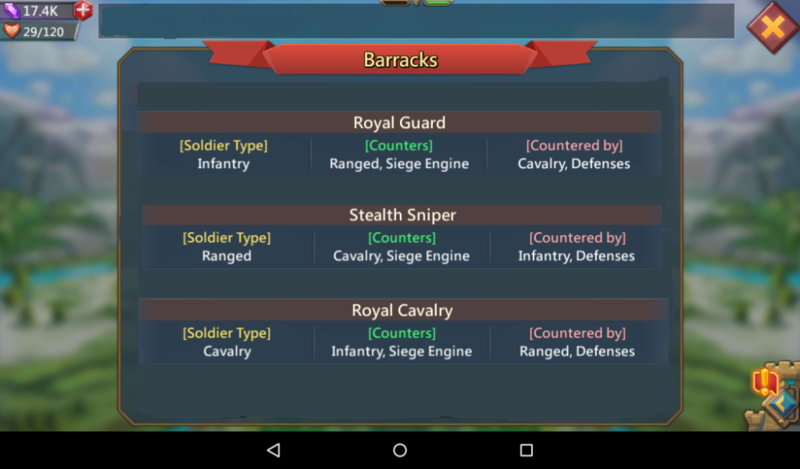 As always, keep researching your military tree to get your troops as strong as possible. After that, you can research Darknest Invasion, Convention and Navigation under the military command tree. 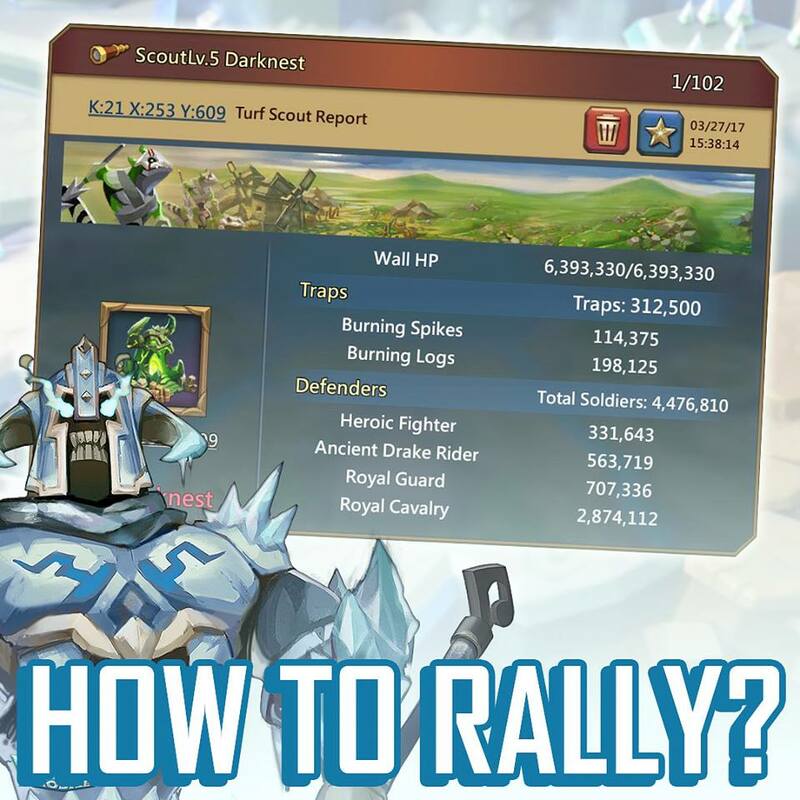 Invasion will increase your troop size that you can send to a nest, Convention raises the Darknest Coalition Travel Speed which gives everyone the boost travelling with you and Navigation increases travel speed for the Rally host which speeds up the entire rally going to the nest, but only the host with the research on the way back. There is Defense, Offense and Tenacity as well on that same tree, which will come in handy for high might 3 and reg level 4 and 5 nests. Under Army Leadership you will find the Phalanx and Wedge research. If you have more tips for rallying darknest, please comment below and I'll send you 500 points. For more guides, click here .